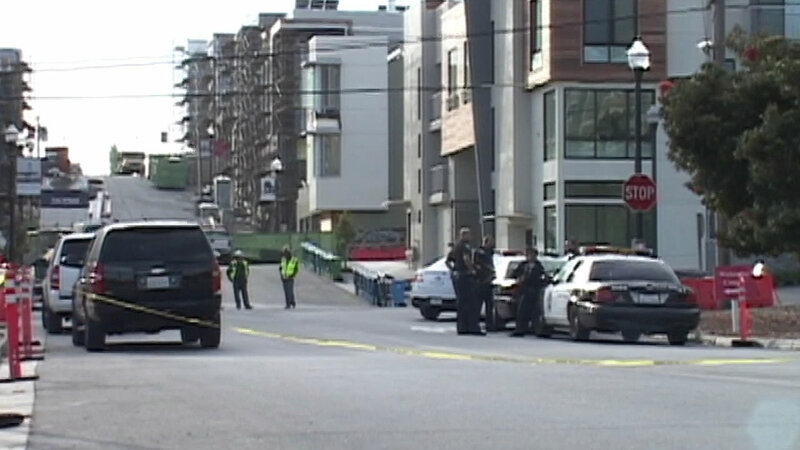 SAN FRANCISCO -- San Francisco police searched for a possible bomb in an under-construction building for more than an hour Monday morning before calling off the search, police said. Police received a call about a bomb threat in 14-unit building still under construction in the 500 block of Innes Avenue at around 9 a.m. Though most bomb threats turn out to be without merit, San Francisco police spokesman Officer Carlos Manfredi said the department "can't take any chances. We have to treat it like a real event," he said.